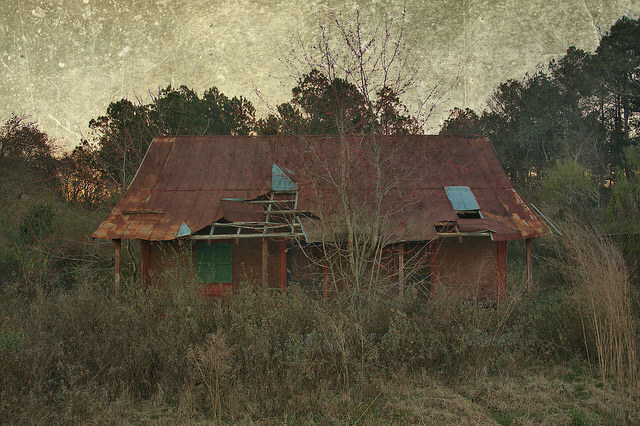 I take this place for granted since I see it almost every time I visit my home in Fitzgerald, but it’s a real landmark. From Katherine Griffin’s comments, I believe it was originally owned by Lott Paulk, from the 1930s to 1940s. Arthur Griffin, Sr. owned it from the 1940s to early 1960s. His grandson, Eric Griffin writes: I’m not sure when he sold it but I think it was in the early 1960’s. I’ve heard many stories from my father (Wycliffe) about he and his brother, Arthur Griffin, Jr, working at the store as kids. Larry W. Tucker writes: Bill Griffin owned it before Tony and Glynn Rae Hutto. Mr. Bill was shot and robbed one night after he closed up. Judging from other comments, this was in the 1970s. 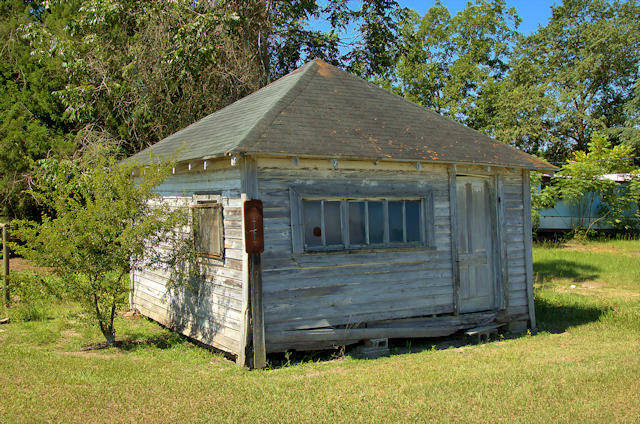 The Huttos were the next owners and Glynn Ray Hutto had the well-loved Holt Beauty Shack right next door. If you’re in the area, drive down the hill from Holt toward Ocilla on Georgia Highway 32 to Hutto’s Bar-B-Que (Tony Hutto owns this old store, as well) for some of the best barbeque in South Georgia. From our Facebook page, and an older post that I’ve consolidated here, enjoy these great memories from the people who knew this store best. Derek Veal: I remember when you would walk through the doors, They had old wasp nests up on the ceiling and hornets nests someone in the place collected. Had my first Frosty’s Root beer there, and pork rinds of course. Wheeler Allen Purvis: I sure spent a lot of time at this store. Tony and Glenn Ray own it now. A quick story: Daddy took my motorcycle keys so i drove his 2-cycle John Deere about 5 miles to the store! Katherine Griffin: I grew up in the area of this store and it was a favorite place for men to meet and have a coke, sitting on nail kegs, and swap stories. 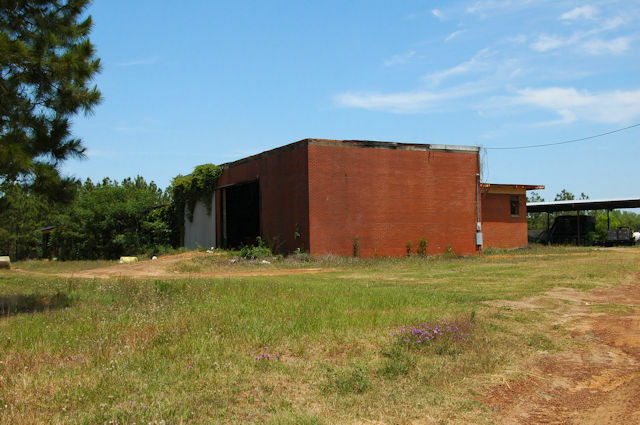 My Dad, Ed Grantham used a small building near this building which was a voting precinct to barber on Saturdays. When I was very small the Lott Paulks owned the store and lived in an apartment behind the store part. We would visit them on Saturday evenings and my Daddy would cut hair of the farmers until 9: or 10: pm. Marie Taylor: My daddy or brother took me to “the store” nearly every day and bought a bag of candy! By the time that I was 6, I had a cavity in all my baby teeth. I took really good care of my next set. My favorite store in the world when I was growing up! Rhonda Dixon: I grew up right down the road from this store. Mrs. Glynn Ray Hutto had a beauty shop in the back. Mama went all the time to Mrs. Glynn Ray to get “her hair fixed.” I remember when this store was open. I was still young when it closed but I can still picture the inside in my mind. Mr. Bill used to park at the end of the dirt road, right across from the store, so if we ever went out that way (to hwy 32 instead of Evergreen Rd) we’d stop and talk to Mr. Bill. Lots of times Mr. Cleon Lott would be stopped there also, he lived down the road too. My goodness at the memories I have of this area. Born and raised in Holt, GA! Gary Veal: I used to ride my go-cart picking up bottles in ditches on the way to Holt to get cash deposit refund. I usually got enough for a drink and candy bar. Amelia Ziegler Paulk: I use to go with my Daddy out in the country on Saturdays to collect insurance premiums. We would always stop at Holt store and get Vienna sausage, potted meat, cheese and crackers and a coke for lunch. I get hungry now just thinking about it! 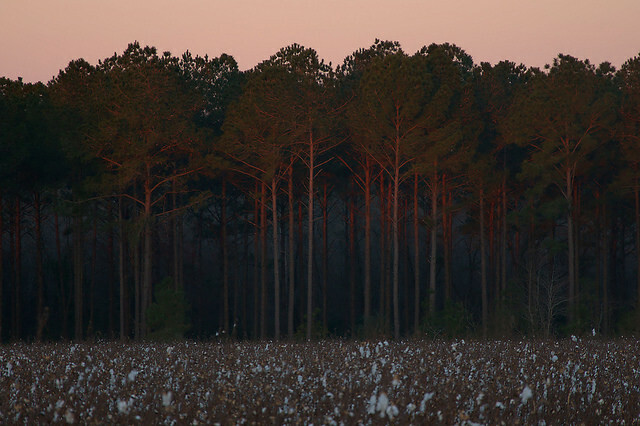 That was one of my favorite memories of growing up in Ocilla. I also went to that store many times with my Granddaddy Veal and my Veal uncles. 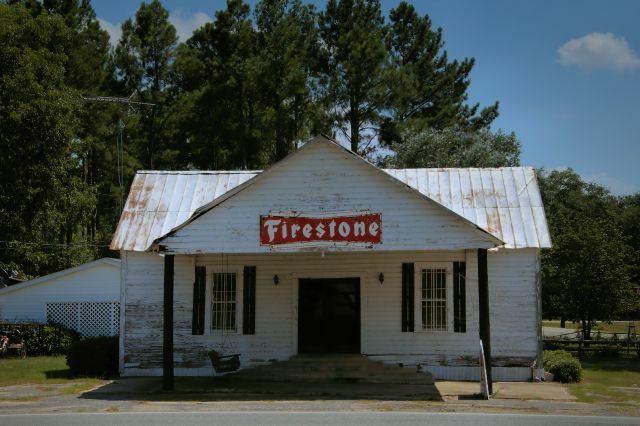 Ray Griffin: The Firestone sign is not original. My Grandfather, Arthur Griffin Sr. owned this store in the 1940s, 1950s and early 1960s. He sold it to a cousin, Bill Griffin. Bill kept the store for many years. I remember that the store was robbed in the 1950s. Burglars broke in during the night and used explosives to blow the door off the safe. My Father got the safe when Granddaddy sold the store and replaced the door. I now have that safe in storage. I have never heard about a show down at the store in 1930. I do have an Aunt that is still living and I will ask her if she knows about it. 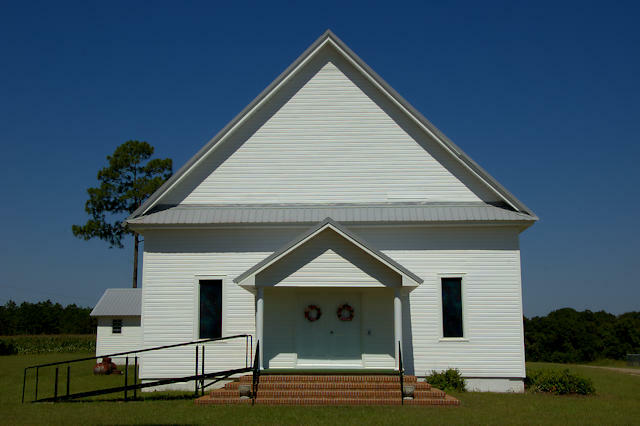 Tracie Lott Thacker: Loved going here almost everyday as a child with my grandfather Cleon Lott. Before riding the roads and looking at the crops we had to stop here first. Marc A.: My mom’s uncle (Tommy Woodrum) would take me and my sister to this store when I was a boy back in the early 1970’s. He would buy us both an RC Cola and a Moon Pie! Bennie Bryant: I lived about 15 miles from this store. 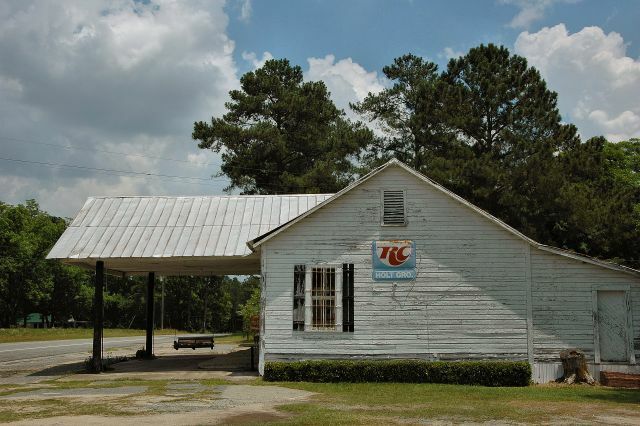 We used to stop in there and get an RC Cola and a Moon Pie while taking a break from cropping tobacco for Mr. Hutto. 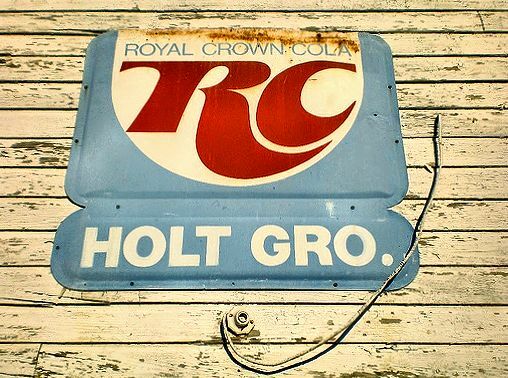 Larry W. Tucker: I grew up in Holt and I have fond memories of Holt Grocery. I have had a many a Pepsi cola and Honey bun from there. Sometimes I would walk there and pick up empty bottles along the way and sell enough to buy some candy. There was lots of socializing that went on back then with some of the Older Adults in the community and I really enjoyed that. Good times and lots of good memories. Terri Lynn Boatright: I remember when Bill Griffin owned the store. 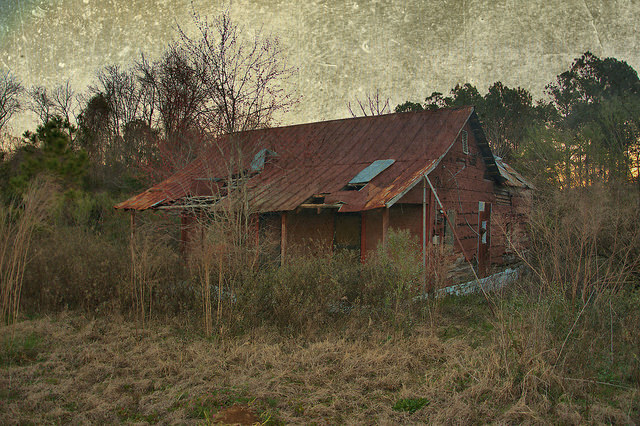 My Step-Dad Leonard Pope use to take me there often (in the 70s) as we lived just down the hill from it. He would get half a candy bar from the display case and come back later for the other half. Mr. Bill would always give me my first water melon of the season too. Yes, the store was All American. Wonderful memories. 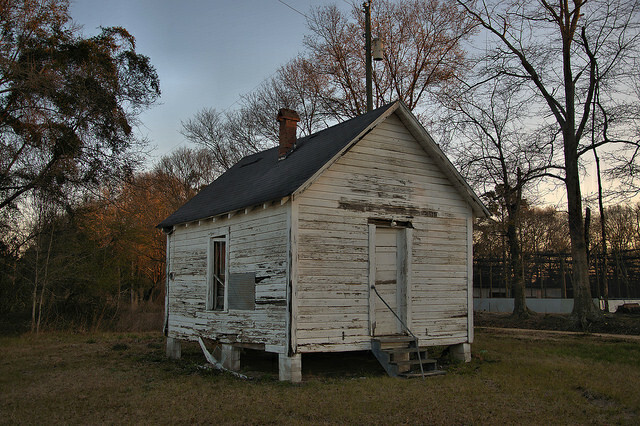 The Ocilla Star (15 October 1953) described this school, built with Minimum Foundation Program funds, as: Holt Elementary (colored): complete school plant with eight class rooms, one library, lunch assembly, office, clinic, two rest rooms, book storage and heater room. Lena Bryant-Brown writes: I went to school there and miss those years so much. My older brothers and sister went also. I made it through the fourth grade and then we integrated when I was going into fifth grade.